For travelers looking for cheap and friendly accommodation during their trip to Rwenzori, try homestay at the base camp. Rwenzori homestay has opened its doors to small groups of tourists and it is a place every one going to this area must experience. It is located in a village near the base camp, surrounded by the green hills. This local family residence provides affordable overnight accommodation for tourists who want to closely interact with locals in a rural setting. The neighborhood of the homestay is dominated by bananas and coffee that provide the much needed livelihood to the family. The home home has three guest rooms that can take up to three people a night or six if they share two people per room. The home is lit by hydro power, has clean flush toilets and overhead showers shared by all guests. with plenty of playing space. if you’re trabelling with kids, they will have a good time playing with the local children of this home. 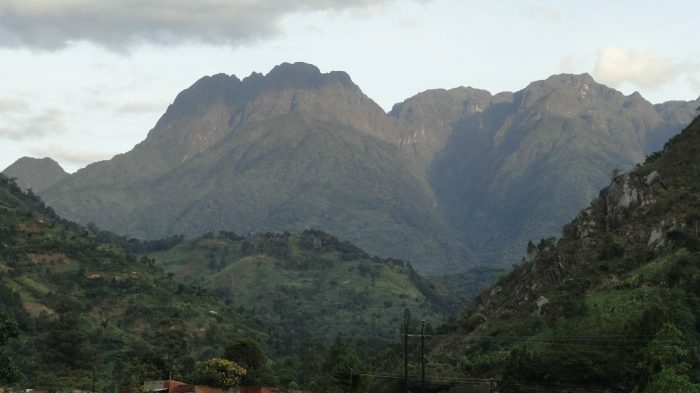 The homestay offers a typical Ugandan village experience in the Rwenzori foothills. The home overlooks the portal peaks that envelope the high snow peaks of Rwenzori mountains of the moon. This homestay is a suitable destination for guests who want to trek Rwenzori Mountains national park. During the stay at this home, one will leisurely explore the foothills of this beautiful mountain landscape. Besides the coffee and bananas, the host family derives their income from rearing a few domestic animals. The activities one will do during the stay include working on the farm, the household chores such as cooking local dishes, coffee making, feeding and milking the domestic animals. You will have a chance to walk in the neighborhoods to meet the local people at the local trading center or going to church on Sunday. For longer community walks, foothills hikes and Trekking in Rwenzori mountains national park can be organised on request. How to get there: This homestay is located 15km off fort portal Kasese road. Branch off at Nkenda Electric terminal (locally called kisanyarazi). The home is accessible by road and has secure parking for those travelling by private car. Transport can be arranged to pick any guests from Kasese town on request. since this is a private home, we encourage guests to book at least a minimum of 6 hours before arrival. Interested guests can book their stay at Rwenzori homestay through this website at no additional cost. We are happy to organize your visit, arrange your transportation to Rwenzori mountains area or provide more information about Rwenzori homestay experience.